Our world, as we know it, faces enormous challenges. As it is changing rapidly, individual companies need to adapt to the huge political, economical, social, technological and ecological demands. This requires changes in business models, that asks for cultural change. Since culture is the behavioral repertoire of a (large) group and its resulting products, the fastest and most cost effective and efficient way of cultural change is behavioral change. Management teams are trained in the basic conditioning principles and how to apply these in change projects. Key figures in the organizations are trained to become trainer/coaches in order to help management at all levels to achieve observable and measurable cultural change. We use the best evidence based tools available, including scenario planning, executive coaching, performance management and hypnosis, dependent on your needs and intervention level. Using questionnaires is not sufficient for understanding and changing culture. We must work hard to pinpoint and measure the desired results and behaviors controlling these results objectively and change these controlling variables with participation of all involved. It is not enough to train and coach individual employees or management teams discover their own needs. These must be connected to organizational objectives. Now that we have concrete behavioral change technology at our disposal, we are in the position to change whole organizational cultures. Marius leads the European movement in Organizational Behavior Management and helps organizations with his team achieve measurable cultural change. Organizations are not only productive when they learn to apply the laws of behavioral change. They also become more happy. With positive reinforcement as key, they will learn employees to be more productive and happy, passionate, involved, intrinsically motivated and everything else that you want to achieve. At school we learned to write and calculate as a basis for functioning well in society. with courses in economics, history, geography and languages. But we never learned how to become happy and perform at top level by understanding why people do what they do. In order to become happy and productive, we need to learn more about behavior. Behavior analysis as the science of behavior helps us solving issues with the laws that govern our behavior. These laws of conditioning are easily to understand, but not so easy to apply. With Marius you find your keys to success and happiness. Marius is, with three Psychology Masters, a PhD in Business Administration, and 30 years of practical experience, the best in motivating your organization for top performance. He helps individuals, departments and organizations change towards measurable improvements. He is European leader in the new revolutionary applied science of Organizational Behavior Management, based on the rigorous and relevant science of conditioning (Pavlov, Skinner). On this site you find how Marius can help you and why this is the moment to hire Rietdijk Gedragsverandering. See what Marius already has done in his CV. Marius is the European pioneer in the revolutionary new management method of Organizational Behavior Management (OBM). With his team who help him in big change projects. You can hire him for OBM, hypnosis. lezingen en workshops. You find interview with Marius by several media under interviews. Traceable publications you find under publicaties (see CV for an overview). Contact Marius now for mobilizing your inexhaustible creativity. Apart from his business activities, you will find also information about the personal reinforcers of Marius, including his interest in magic under Magius Methodius. Ten aanzien van het gebruik van hypnose heb ik altijd mijn bedenkingen gehad. Marius Rietdijk heeft mij weten te overtuigen om toch een hypnose te ondergaan. Vertrouwen in de persoon van Marius heeft ertoe geleid dat ik mij heb opengesteld om toch een hypnose te doen. Zonder enige twijfel was de hypnose sessie een heel bijzondere persoonlijke ervaring die niet mogelijk was geweest zonder de professionele begeleiding van Marius Rietdijk. Ik kan hem dan ook van harte aanbevelen. Eerste Dag van Gedrag groot succes! Platform focussed on solving societal issues with Applied behavior Analysis (ABA). Optreden voor Giarte in Spant! Hoe kunnen IT-inkopers en leveranciers hun relatie versterken? Hoe pas je OBM toe bij Sales? Wat Darwin is voor de biologie is Skinner voor de gedragsanalyse. Hij beschouwt gedrag als onderzoeksobject op zichzelf in plaats van 'derivaten' als leiderschap en motivatie. 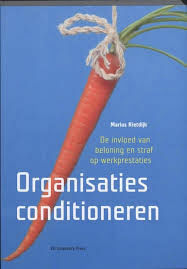 Zijn boek About behaviorism beschrijft de hoofdpunten van zijn filosofie over de gedragsanalyse, het behaviorisme. Hier een fragment uit dat boek. Conquer the three pitfalls of behavioral change and improve performance 100x. Learn the basics of behavior change and OBM by watching the films and contact Marius for implementing this marvelous technology for creating a high performance culture leading to maximum happiness, safety, quality and quantity of production and services. See film on the right in Dutch, on the left in English.